A little of this (persuasive writing) and a little of that (time)! I hope everyone had a great Thanksgiving! Unfortunately, I've been a bit sick (especially today). Luckily, my hubster had today off too and was home to help take care of the little guy while I was in bed most of the day. Good news is I used my down time I finished a new little project I've been working on, but more on that later. I know this is a little late, but I wanted to share a little bit of what we finished up during this short two day week in my classroom earlier. 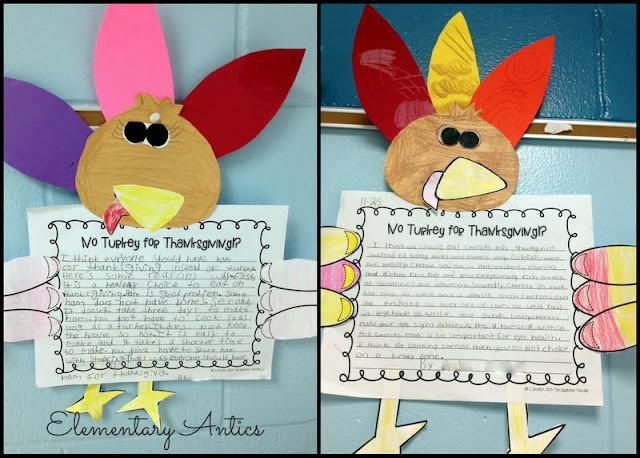 We have been using The Applicious Teacher's No Turkey For Thanksgiving Persuasive Writing Craftivity while we work on persuasive writing. 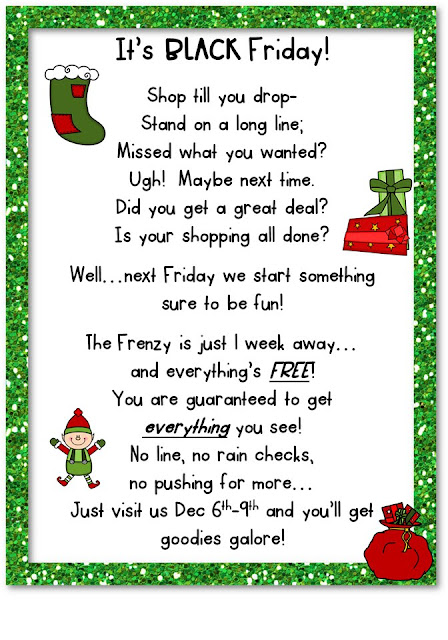 The kids finished their writing and I could not be happier with how they turned out! Adorable! A lot of my kids really got into the topic and really tried to convince their parents to have something else for Thanksgiving this year. I even got a hilarious email from one of my parents about how hard their child tried to persuade them and that they were really disappointed that they couldn't be convinced. (As this mom said, "He said he really didn't want to kill a turkey and I told him, "Our turkey is already dead in the freezer." Ha!) 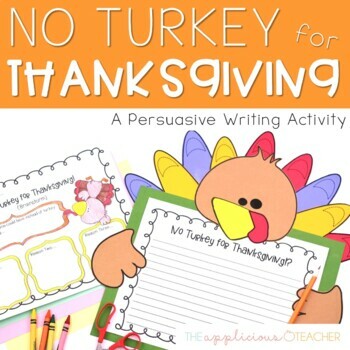 I definitely recommend this unit if you are working on persuasive writing around Thanksgiving next year! We also worked a bit on timelines and distinguishing a.m & p.m. We used one of the activities from my Telling Time Unit where you have to determine whether the daily activities take place during a.m. hours or p.m. hours. You can take a look at that unit here. Now, here's a little teaser for what's coming up later this week over on my Facebook page! Colorful Words- Using paint strips in writing! It's official- I have a teaching blog!